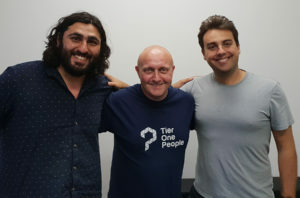 Dexter Cousins of Tier One People caught up with Co-Founder and Co-CEO, Alex Badran, to talk about the Spriggy journey. Alex is one of the smartest, likeable and authentic entrepreneurs you will ever meet. Alex: Spriggy provides a prepaid card for kids and an app that parents and kids use together. Through the app, kids can learn about earning, saving, and spending, in a responsible manner, in an environment supervised by their parents. How did the idea for Spriggy come about? Alex: In 2015, myself and my co-founder Mario Hasanakos got together, and we were talking about banking. We had both worked in a bank and felt banks could do a better job in teaching their customers about money. We could see technological advances were enabling new solutions to enter the market. We found invisible money was a real concern for most parents out there. It’s a very practical problem as kids are spending online nowadays and money is becoming increasingly digital, yet parents are still teaching kids with antiquated techniques. how do I manage digital money with my kids? How did you bring the idea of Spriggy to life? Alex: Mario and I have a bias towards doing. During the research phase we built a very clunky prototype. Our first-ever family, Annabelle and her kids, sat in the office with us, as we used off-the-shelf products to put together a product. Within a few days Annabelle, had a basic tool through which she could manage pocket money with her kids. It wasn’t the best product, but we were able to observe the challenges that Annabelle faced and iterate on the solution that we had in place. We then built a solution and tested it with fifty families. Based on the learnings from testing we built the commercial version you are using today. What feedback did you get during the early stages? Alex: It was an interesting experience. Mario and I were given a front-row seat to the challenges parents face with their kids. We learnt pretty quickly that it can be tough managing kids. The jobs of mums and dads is chaotic. You’ve got kids going to sport, you’ve got kids running out the door going to school. We learned quickly that if we didn’t build something to make their lives easier, they wouldn’t have the time to consider it. Anything we could do to simplify the challenges faced by parents, would be considered a win. Building an app for adults and building an app for kids is a very different process. Adults are used to having control, they’re not as digitally native. Parents understand concepts around money, but are less literate in technology. Whereas kids, they know their way around Snapchat, Instagram, YouTube, but are less literate when it comes to finance. We could get away with clunky prototypes with parents. If it was functionally up to what they required, they were happy with it. But with kids, if it wasn’t up to the quality standard they had grown used to, they wouldn’t use it. Don’t underestimate kids. By giving kids control, responsibility, and ownership, and them seeing the consequences of their decisions, it’s remarkable how quickly they learn. There’s no conversation we’ve seen to replace the feeling a child gets when they spend five dollars on something stupid and then regret it. The act of learning by doing is very powerful. Which is something I’ve always believed. There’s plenty of research to back it up, but seeing it in practice was cool. The Cousins Klan earning their ‘Spriggy’ money! Alex: I remember this moment vividly. We were moving from our prototype product to a commercial product, I called one of our earlier users, Nicola, and asked her if we could wind down the original prototype. She would only have to wait a couple weeks for the commercial version. When you’ve got customers that won’t let you take the product away from them, you know you’re solving an acute pain point in their lives. That was the moment I knew we were truly building something special. There has been a lot of ‘bank bashing’ recently with the Royal Commission. What do you think is the right approach for a FinTech start-up to take, to get traction, and become successful? Alex: Interesting question. I think it’s about knowing who your audience is. There is a lot of talk around banks right now. Could Spriggy take advantage of the Royal Commission and ‘bash the banks?’ Yes, but I think negative messaging is setting the bar low. Parents don’t care about banks. They care about their kids. 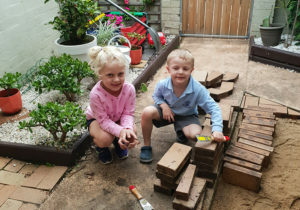 They care about their kids being able to buy lunch, they care about their kids being able to buy a house when they grow up, they care about being able to afford a family holiday, and don’t want to have to worry about school fees. Our view at Spriggy is that we’re always better off focusing on who our members are and what’s important to them. How do you find the core, emotional driver, that keeps your customers up at night, and deliver real value to them? The answer will differentiate you from the competition and help you get traction. How have you scaled the business? Alex: Mario and I are both optimists at heart. The downside of that is you under resource at times. Spriggy was only four full-time people when we launched to the public. It was remarkably challenging in those early days. You don’t really know where the cracks are in your system, particularly with a product of this complexity, until you put in front of people. When it comes to people’s money, if it feels like their money isn’t where it should be, that’s a terrible user experience. You can’t get away with mistakes and bugs. If you build a social app, and a user has two likes instead of three, people don’t seem to mind. But the minute you’re starting to deal with real money, the quality threshold needs to be extremely high. At launch, the product was ready to go, but as we started to scale the business, we had challenges. In the early days, we were growing much faster than we expected. And we were receiving a lot of feedback from our customers. It was all-hands-on-deck, to ensure we applied the feedback and iterated the product quickly. We are now a team of twenty, which is great to see. For the first time since Spriggy started we are not depending on a few remarkably talented people to do everything. We now have remarkably talented people, in specialist roles. We now have processes and support in place, we now have the tools and resources to take a product and business which is scaling and deliver even more value to our customers. Alex (left) and co-founder Mario Hasanakos (right) with the shiniest head in FinTech! How have you attracted highly talented people to the business? Alex: It’s a great question! I reflect on this a lot. The product and the space we’re in is interesting, so that gets people’s attention. Spriggy is also a unique brand, in a unique space, and there’s a lot of interesting things happening in FinTech. However, getting people’s attention, that just brings them to the table. There is a whole lot more involved in hiring highly talented people. What do you see as the challenges for Spriggy? Alex: We have a customer base who like our product, we have a very capable team, we’re in in a space that is exciting and there is lots of opportunity. The challenge is just to remain focused and keep on executing. Execution is a lot less glamorous than people make out. It’s rolling your sleeves up and doing all the hard parts. Execution is being focused on the right problems. Not trying to solve one hundred different problems, but solving the one or two that really matter. Keeping disciplined and focused when executing will be one of the challenging parts of our growth. Access to capital in Australia is challenging. Mario and I, we’re not natural capital-raisers, we’re product guys. We have learned a lot during the capital raise process. Presenting as the founders, hitting the pavement, talking to a lot of people, learning who’s in the network, who you should be talking to, who you shouldn’t be talking to. Learning how capital-raising works was a big challenge in the early days. But we are fortunate to have met a lot of good investors, good people, and great founders too. I underestimated how helpful founders can be. Other founders may be a year or two ahead can tell you who to approach and who not to approach, which saves a lot of time. I personally find capital-raising challenging in the sense that I much prefer to be building the business, rather than talking about building the business. Pitching and raising capital are disciplines I’ve had to learn. And what is the end goal for you and Spriggy? Alex: This is not an easy answer. I am not thinking about an exit strategy. We’re just getting started. We have just earned the right to play. And we’ve spent years earning the right to play. I feel like we’re about to start delivering on the vision we had from the beginning. It’s becoming clearer what our customers want and need. It is obvious that the financial services sector is shifting and there are a lot of dynamics which are playing out globally. Tech is evolving rapidly and the consumer segment continues to evolve. So, there are a lot of unknowns out there. We need to keep making sure we listen to the signal versus the noise, look after our customers, look after our team. And it’s that simple. But there’s a lot of momentum in the market and we’re looking forward to delivering more value over the next three, six, twelve months. There will be some cool features coming your way very soon.